As a physicist, the first chapter I turned to in this book was “Thinking, God, and the Quantum Physics Brain”. It was astoundingly bad, full of inaccuracies, misunderstandings, and downright errors, and a perfect example of why scientists had better be humble when discussing a field that is not their own. Neuropsychology is not my field, and after reading this book I humbly submit that, while the quantum physics chapter is terrible, the parts of the book based on Dr. Leaf’s expertise, personal research, and clinical practice are most likely valid and, if so, very important. The other chapters on neuropsychology are similar to what one finds in secular books like Siegel’s Mindsight (link to my review) but with a very significant difference: Caroline Leaf’s goal is to take captive for Christ every thought in her field of cognitive neuroscience. It is a valiant and heroic attempt to show how neuroscience is not at odds with God’s Word but can be understood in the light of God’s Word. I salute and admire Dr. Leaf for her tenacious commitment to God’s Word and her deep-seated but unexpressed belief that God is Lord over everything and that, therefore, truth is deeply and totally true, also in her field of research and expertise. It gives ordinary Christians practical tools to ‘renew their minds’, ‘take every thought captive for Christ’, and ‘be still and know that I am God’. It reminds them that they have a real, valid responsibility to obey God’s commands and that they are not helpless victims of their genes, past, and environment. As I pointed out before, however, this book is not perfect. How could it be, seeing that it covers such a huge field and that Caroline Leaf is trying, single-handedly, to conquer a whole field of human endeavor for God? It is, however, a pioneering contribution to a Christian understanding of modern psychology, brain renewal, and human responsibility. So, after all this, what is Switch On Your Brain about? This book is divided into two parts, a theoretical one (Point 1 above) and a practical one based on the theory (Point 2 above). Caroline Leaf’s foundational message is that the mind influences and informs the brain; the chemistry of the brain does not control the mind. While, due to genetics, the past, or the environment, one may be predisposed to certain behaviors or weaknesses, one’s reactions can (and should) be under one’s control. This is because, throughout their entire lives, all people shape the physical structure of their own brains, in a physical sense, by their thoughts and imagination. In other words, people are not helpless victims but have a real, valid responsibility to take every thought captive to Christ, to repent, and to renew their minds. Leaf explains how this happens in the brain and how, by thinking correctly according to God’s Word, one can actually change the structure of the brain to be what it should be. This occurs because thoughts affect the body to such an extent that they can affect which proteins are produced by one’s genes. When the genes produce different proteins, different physical events occur, and different physical structures are formed. By changing the structure of one’s brain in this way (and it is unavoidable), one is also affecting future responses in oneself and in others. Sounds wild? It sure does, but this revolutionary concept of being able to change the physical structure of the brain throughout life, called neuroplasticity, has been repeatedly demonstrated in the last 4 or 5 decades and was recognized with a Nobel Prize in 2000. There is also significant evidence scientific evidence for the idea that thoughts can cause such changes. The practical part of this book, the 21-Day, 5-Step Brain Detox Plan makes sense. It’s based on the idea that thinking thoughts strengthens them and consciously rejecting thoughts, even long-ingrained ones, weakens them. That’s how we can renew our minds. Philippians 4:8 is one text that shows us what to replace toxic thoughts with. Caroline Leaf shows that her program of taking wrong thoughts and replacing them with truth will physically erase that thought or memory—and its associated emotions—in the brain and will change the physical structure of the brain to accommodate the true replacement thought and emotion. This is not a time-consuming project, taking less than 10 minutes of directed effort a day. However, it does require concentration and deep commitment. Take the Bible seriously, memorize it, and obey it, for ‘as a man thinks, so he is’. Allow time for prayer and reflection. Remember that you are not a helpless victim but have a valid and real responsibility to think and act as God tells you to. 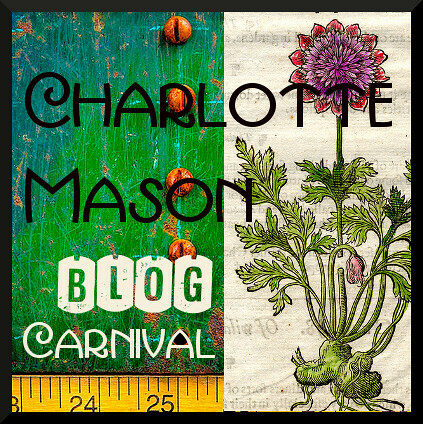 From a homeschooler’s perspective: Charlotte Mason’s ideas about will, duty, habit formation, and attention are all echoed by these ideas of neuropsychology. Theologically: Although Caroline Leaf talks about free will and choice, this is not a contribution to the ‘can you choose to be saved?’ controversy. She is talking to Christians, already saved, about our responsibility, as Christians guided by the Holy Spirit, to choose to obey God in the practical everyday moments of life. She is countering the unbiblical idea that Christians are totally helpless victims of their genes, past, and circumstances and that any effort they make to obey the Savior and to abide in him is doomed to failure. 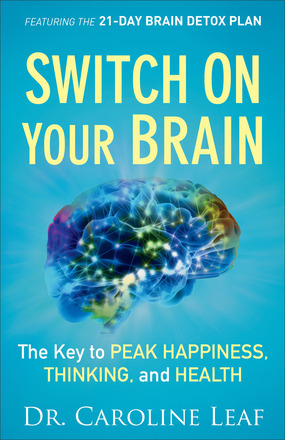 Switch On Your Brain is not an easy read, and as I mentioned before, it certainly has its issues. However, this book is an important contribution to the Christian understanding of neuroscience, It also shows us a simple but powerful method to obey God’s command to ‘take our thoughts captive to Christ’. Recommended for those willing to do the work of understanding and evaluating this book. If you wish to change deep-seated toxic thoughts to be more in line with Biblical truth, the second half of this book can give you a practical guide to doing so even if you are confused by certain aspects of the first half of the book. 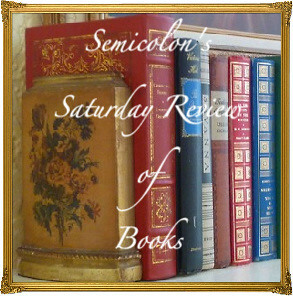 This is yet another book in the in the 2013 52 Books in 52 Weeks Challenge, and is also linked to Saturday Reviews. Disclosure: This book has been provided courtesy of Baker Publishing Group and Graf-Martin Communications, Inc. and is available at your favorite bookseller from BakerBooks, a division of Baker Publishing Group. Posted in: 52 Books in 52 Weeks, Health, Life, Reviews, Reviews: Nonfiction. This comment was made by Anne on my About page, and I copied it to the review itself. Hi I am following Carolyn Leaf’s 21 day toxic thought program and was wondering what you thought of it given there is no quality control or research into the actual program. Apart from testimonies the actual program has not been tested. I’m not sure how this could be done but would feel better knowing it had been properly tested. What do you think? The biblical aspects of this program are, of course, not in need of testing. Other aspects remind me of evidence-based approaches common in modern psychology. I do not think you can go far wrong with this thought detox program, as long as you remember that nothing will succeed without God’s blessings. In fact, I suspect you will be greatly strengthened by focusing on the things Dr. Leaf encourages you to focus on, because she takes biblical concepts and makes them practical. My question for you is: how can you actually apply the detox program from what she writes in the book? I would have loved to have one or two examples of exactly how this would work. Please keep me up to date on your progress. This is the 2nd of Caroline Leaf’s books that I’ve read (the other was Who Switched Off My Brain, if I remember the title correctly). I found it to be a frustrating read. The first part of the book is so in-depth and detailed, which was pretty good. The second part is sorely lacking in detail and real explanation of HOW to do the actual detox. I felt I had just spent many hours reading an infomercial for a ‘cure’, then not being given enough information to actually carry it out – oh, but I CAN buy her DVD/Workbook or pay for the online detox app. I did actually pay for the app a couple years ago but I still had trouble with it. I think the information in the first part of the book is valuable and good to know. I just really wanted some practical help and I feel it didn’t deliver in that area. You are right, Jodi, there is not a lot of detail, and I had a bit of the same infomercial bait and switch response as you did. think of some toxic thoughts you have, choose one to change, try to work through her questions, analyse your thought, and then really focus on replacing that thought with something else and following that up with action. Romans 12:2 tells us to be transformed by the renewing of our minds, and Caroline Leaf’s advice, though not thorough, does give some practical guidance for that. God bless you as you work on this! Note: As is evident from my review, I cannot endorse all that Caroline Leaf says. However, she does say some helpful, wise, and true things. I’m considering signing up for Dr. Leaf’s on-line 21 Day Brain Detox program. I have some reservations though and wonder if you know much about it. The website doesn’t give much information on how it works. And I haven’t been able to find reviews of it. I read part of her book that you reviewed above. The negative reviews on Amazon put me off though. I thought it would be too frustrating of a read. So then I tried to watch one of her youtube videos and was so annoyed I had to turn it off. She just kept repeating herself and talking about how she was going to share some wonderful things about the brain in the short time they had but she never got around to saying anything very definite. I am so sorry for being so slow to reply. You could take her course, or you can follow my advice to Jody above. There are also secular books on the topic. It all, I think, boils down to this: what you think about regularly can affect the physical structure of your mind. So you must think about what is good, honorable, lovely, pure, etc. If you want to get really practical, I would recommend memorizing a few key passages from the Bible. Try Philippians 4:4-8, Psalm 23, Romans 12 or others recommended by a wise Christian you know who has thought about your particular struggles. When your thoughts go wrong, train yourself to think through the Bible passages instead. May God bless you! Thank you for your balanced approach on this book by Dr Leaf. It is encouraging as so many other christian websites seem to discredit her outright on some of her inaccuracies rather than praising what is good in her books and leading to Godliness. I have read this book and with only basic school science, I just rely on the Holy Spirit for conviction and I have in no way tried to knit pick out the bits that may be scientifically off or vague. I have found her 21 day detox program very practical and helpful and as believers we need to renew our minds and this is a practical tool to help with that. So thank you for your book review. I think the reason people dont understand the book is because they dont believe in Gods word, or youre not Pentecostal which in that case we focus on spiritual aspects. Such as how the Holy Spirit can lead us to a better life and mind. The blood of Jesus being poured on our mind to be cleanse. I think you need to look deeper and think like Jesus. Nothing bad on thinking if the book is wrong; we all believe in different things.